I couldn’t be more excited to set off on my journey to try everything on the menu at Sushi Katsu. Along the way, I plan to keep all of you informed of the things I’m trying. Sushi Katsu is all you can eat. Typically, when you hear the phrase “all you can eat” the quality meter goes down. However, Sushi Katsu is the exact opposite. Sushi Katsu gets the same shipments of fresh sushi-grade fish as places like Sushi Den. But, Sushi Katsu is actually fresher because of the large volume. This place is always packed. I went there for lunch and there was seriously a line outside of the door. I love the all you can eat aspect because it allows you to venture out and try things you might not normally try. 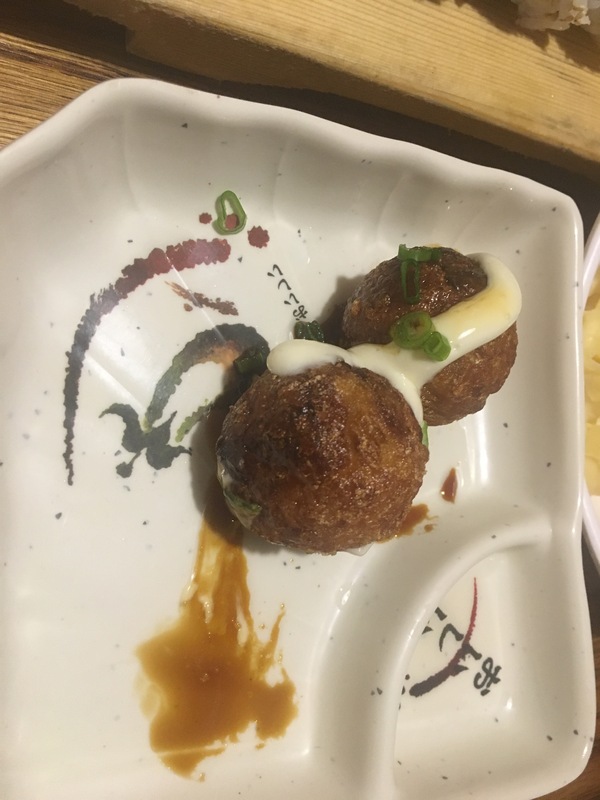 You Gotta Try the Takoyaki at Sushi Katsu (featured below). This is one of the first items I experienced. I’m not usually a fan of octopus, but this is stuffed with octopus and I LOVED IT!!! My next favorite appetizer was the BBQ Beef. 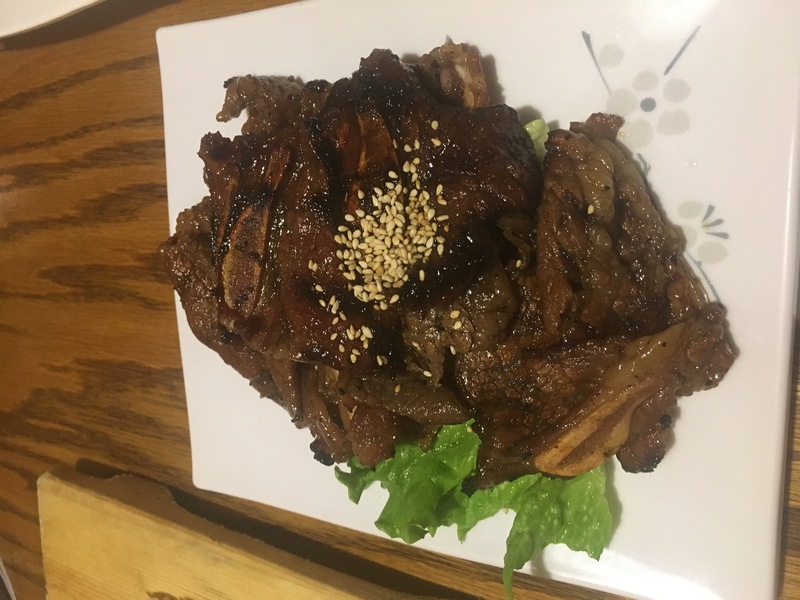 The plate of BBQ Beef was so tender and delicious. I’m still craving this. It was one of the last things I expected to eat at a sushi place, but I’m glad I did. 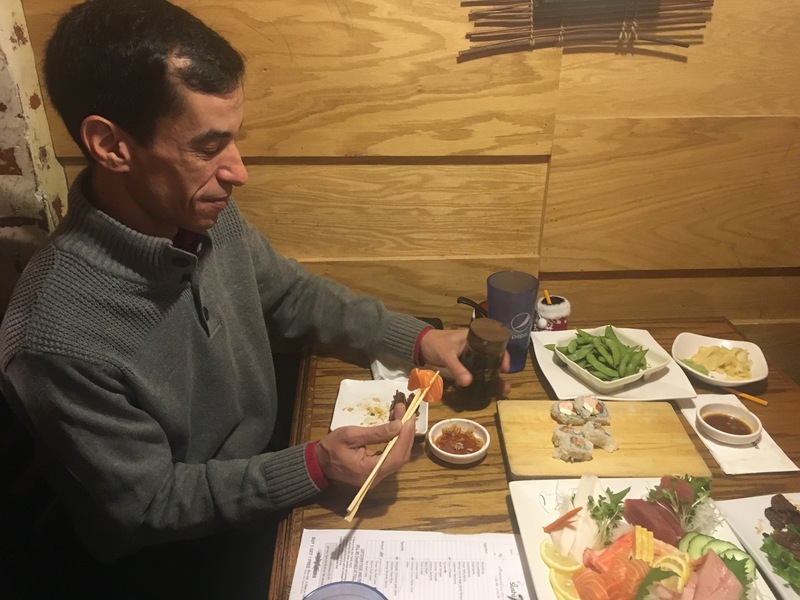 I was already getting a little stuffed and the main course of sushi hadn’t even come out yet. 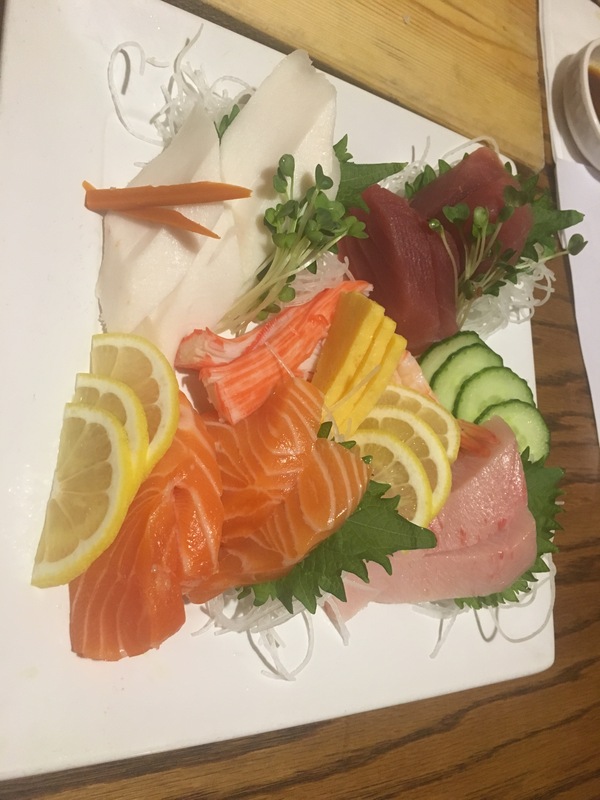 Then my friends at Sushi Katsu placed in front of me the most beautiful arrangement of sashimi that I’ve ever seen. There were multiple types of fish, like yellowtail, salmon, crab, shrimp. It was so fresh and delicious. One of my favorite things on this plate was the Tamago, which is an egg custard sushi. This plate is called the Katsu Sashimi (S) plate. I strongly recommend this!!!! I had a few more items that I’ll be sharing with you soon. In the meantime, go check Sushi Katsu out. They have a spot just down the road from me on Havana and another location near I-25 and Arapahoe Rd. They also told me that they are opening a new location in Lakewood soon. Follow the Slim Menu Marathon with Sushi Katsu.